Even Britain’s much admired stiff upper lip is trembling with frustration and anger as the U.K.’s Parliament talks and talks itself into political paralysis. Even worse, there seems to be no way out of the dead end as lawmakers refuse to compromise on what they believe Brexit means. British lawmakers on Monday failed -- again -- to pass any of four proposals for leaving the EU. The urgency to come together on Brexit has become intense as the deadline to avoid a disorderly departure looms. As for the 17.4 million people who voted to leave the European Union, they’re not sure what Brexit should look like either, but it’s clear that Parliament is not delivering what was imagined nearly three years ago. For Prime Minister Theresa May the nightmare goes on, she’s lost control of her party, the Parliament and apparently the future of her withdrawal agreement. 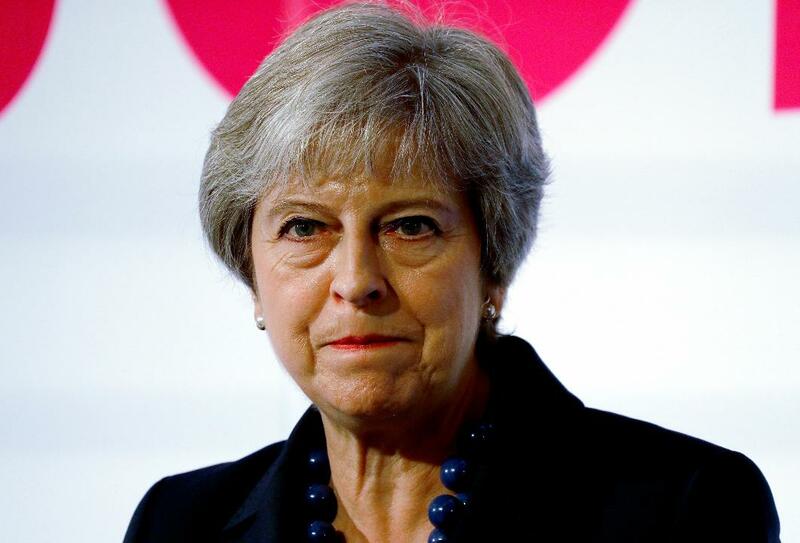 I have a lot of respect for the PM, she’s remained dignified in the face of brutal criticism and enormous pressure but in truth I believe she has pandered too much, allowed EU negotiators to bully her and ultimately mismanaged a process that should never have been this hard. As a result UK lawmakers are now considering other plans such as the “Canada Option”, the “Norway” option, a second Referendum, revoking Article 50 to name just a few and it makes your head spin because as soon as one group gets onboard another cries foul…it’s political whack-a-mole. The government’s plan, two and a half years in the making, has been rejected three times but the size of the defeat has narrowed each time and don’t be surprised if it’s brought up for a fourth vote this week. Maybe the Prime Minister can wear down lawmakers and persuade them that her deal really is the best option compared to the alternatives of a lengthy extension of EU membership or a no-deal Brexit. If she does manage to get her divorce deal across the line by the new April 12 deadline, it may be considered one of the greatest political achievements in the modern ear, or any era but based on everything that’s happened so far it has a snowball’s chance in you know where. The overriding message I get when I travel back and forth to London to cover this story is one of pure anger and for those who support Brexit a growing sense of resigned indifference. Some would argue that it is democracy in action, others will tell you it is democracy being denied in slow motion. Either way, all Brits believe it’s a national humiliation with no apparent end.